SRIA aims to remain the contact point for specialist reinforcement knowledge, technical enquiries, addressing the needs of the construction industry and provide a hub of sound technical data. Our aim is to educate industry and disseminate steel reinforcement knowledge via regular publications, lectures, seminars, research programs and tours. 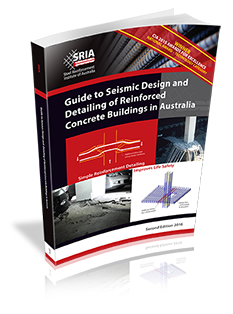 SRIA staff present technical papers at major national and international conferences on the latest advances in the use of steel-reinforced concrete. Copies of SRIA papers are available free of charge from this website under Publications.